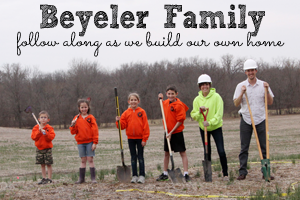 Early Tuesday morning, cement trucks were rolling into Beyeler Hollow.We now have the foundation poured, and just in time, as storms moved into the area Tuesday night bringing a lot of rain. It was a big pour, compared to typical foundations. The suspended garage and safe rooms added a lot of walls that aren't part of a normal house. We're glad we have them, though, because you can't add them later. 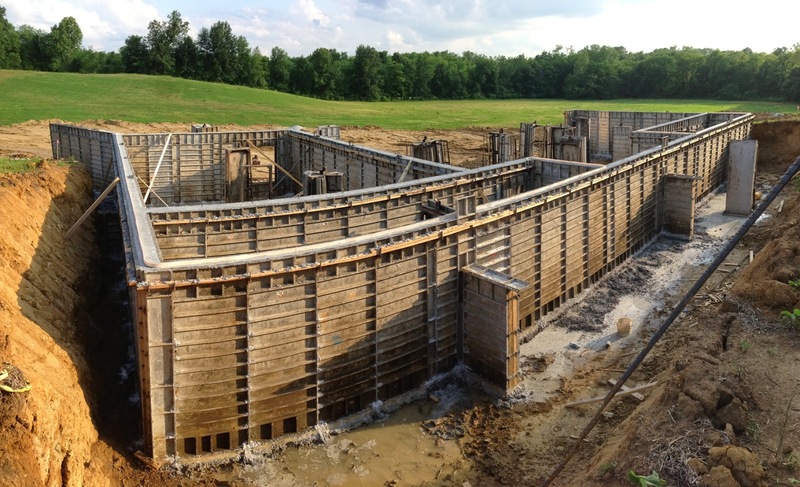 We had our contractor add waterstop at the top of the walls above the suspended areas. 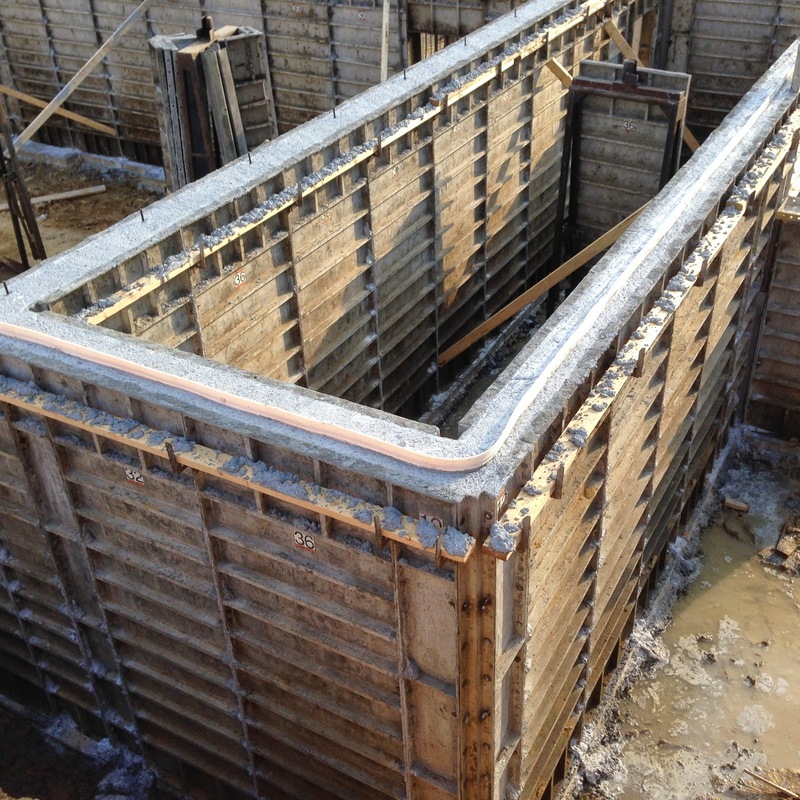 It is a vertical rubber fin that connects the basement wall with the flat cement floor which will be added next. It provides a waterproof seal to prevent water from seeping into the basement from the crack between the slab and the basement wall. 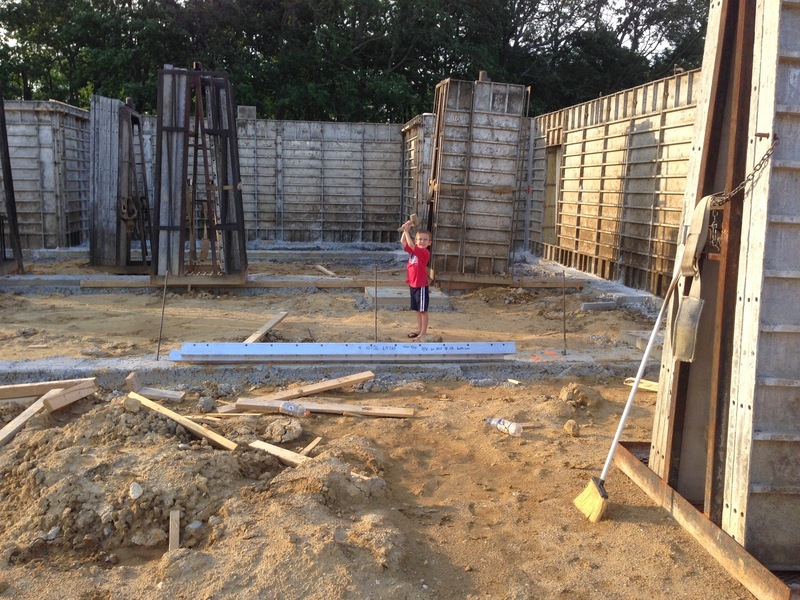 Will was a good help, pounding in the rebar with a mallet he found at the site.